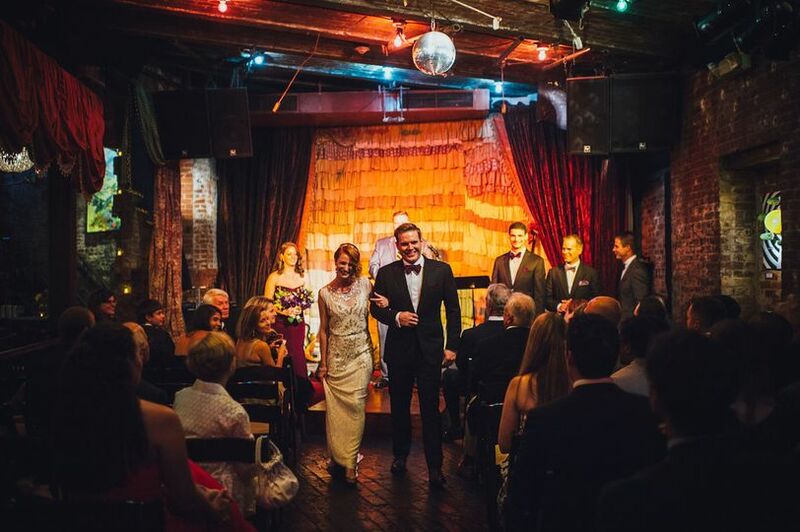 The Beehive is a live music and bohemian wedding venue located in Boston, Massachusetts. 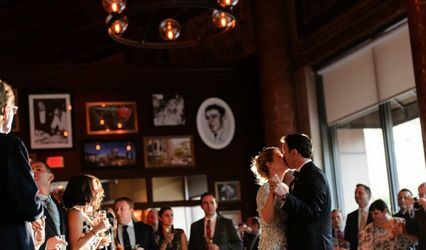 This non-traditional restaurant offers multiple event spaces for both your ceremony and reception. 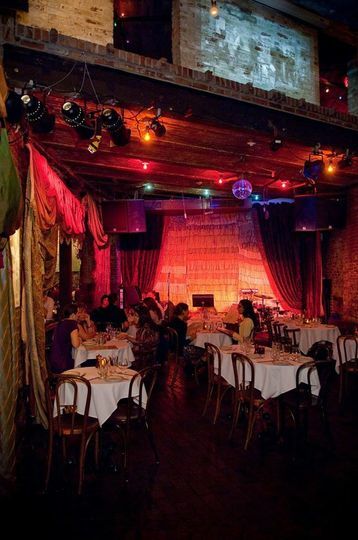 They pride themselves on their delicious food, experienced staff, interesting beverages and spacious stage. 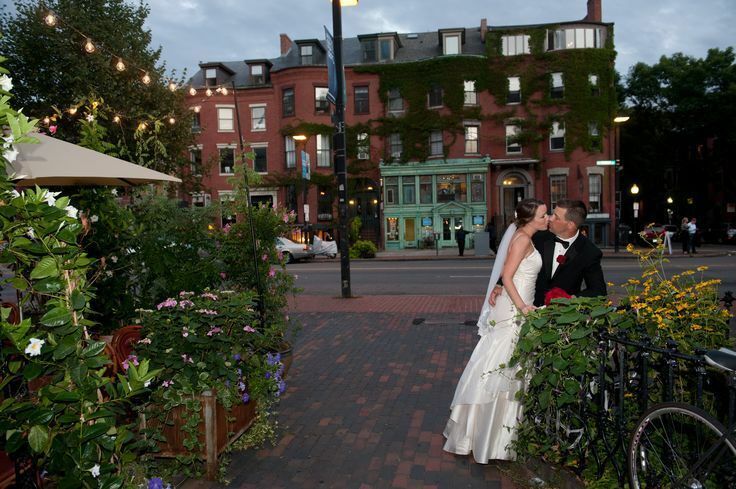 The Beehive promises you and your guests an unforgettable evening in Boston's historic South End district. The Mezzanine - located on the upper street level of The Beehive. 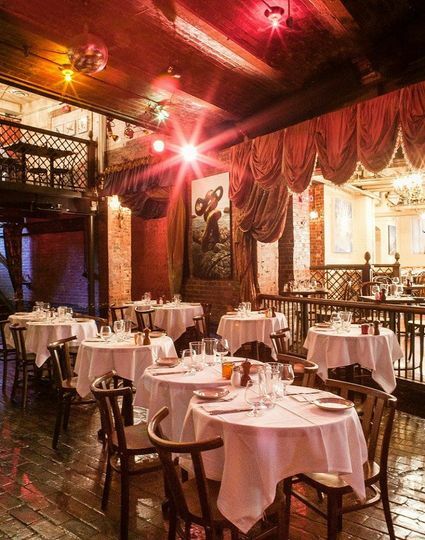 It's a cozy space perfect for intimate receptions or rehearsal dinners. You'll have exclusive use of the upstairs bar. Main Bar Lounge - can accommodate 35 guests for a cocktail reception. It's situated on the left side of the downstairs bar. The Stage - has limited availability, depending on their booked entertainment. 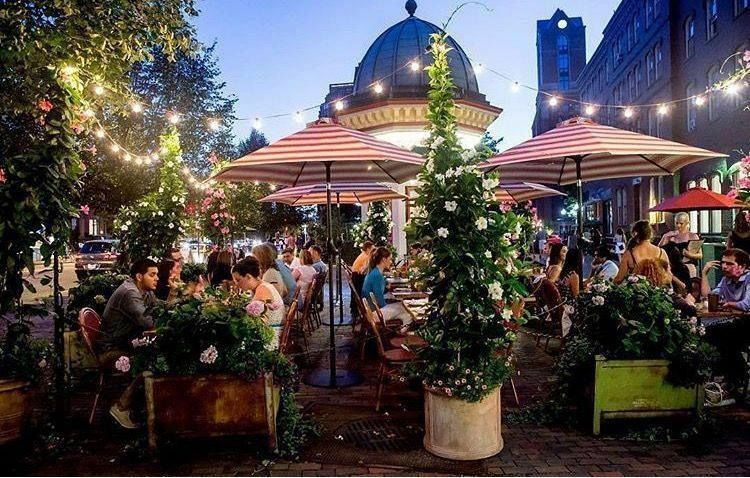 Outdoor Patio - perfect for cocktail hour. 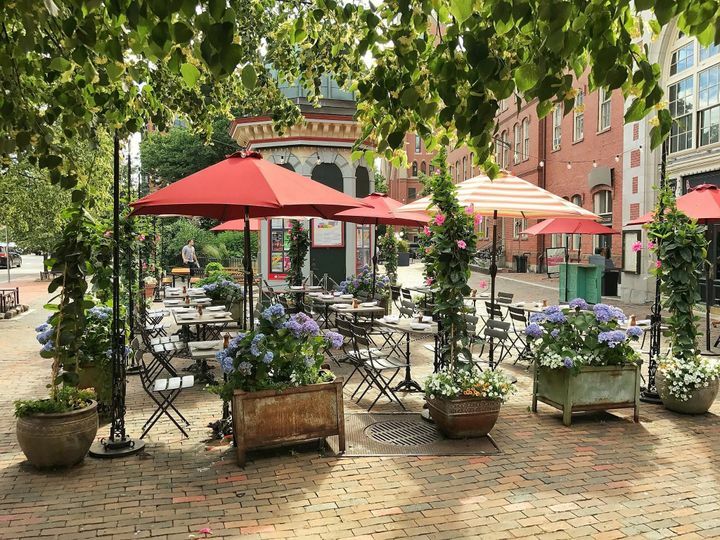 Your guests will experience the hustle and bustle of the city. rehearsal dinner or engagement party. 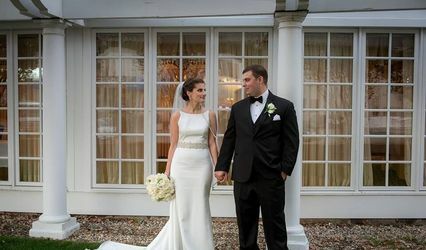 We had a brunch reception after our wedding. This place is the best! 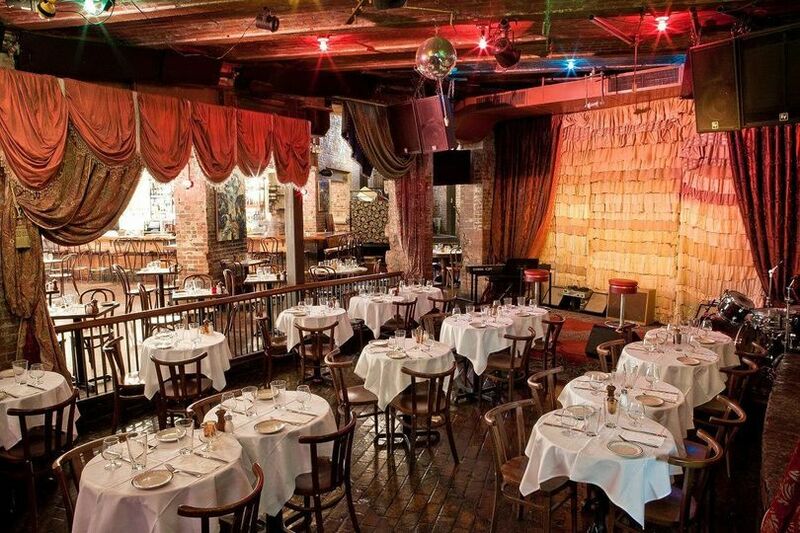 Fantastic food, great music and ambiance, terrific bar, and the staff was excellent! Totally stress free and it was amazing! Although a buyout of this venue is expensive, it is worth every penny. The service was IMPECCABLE and the food was amazing. 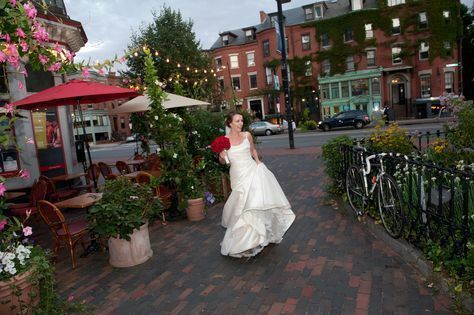 I would HIGHLY reccommend this location to anyone in the Boston area who was looking for something less than a "traditional" wedding. 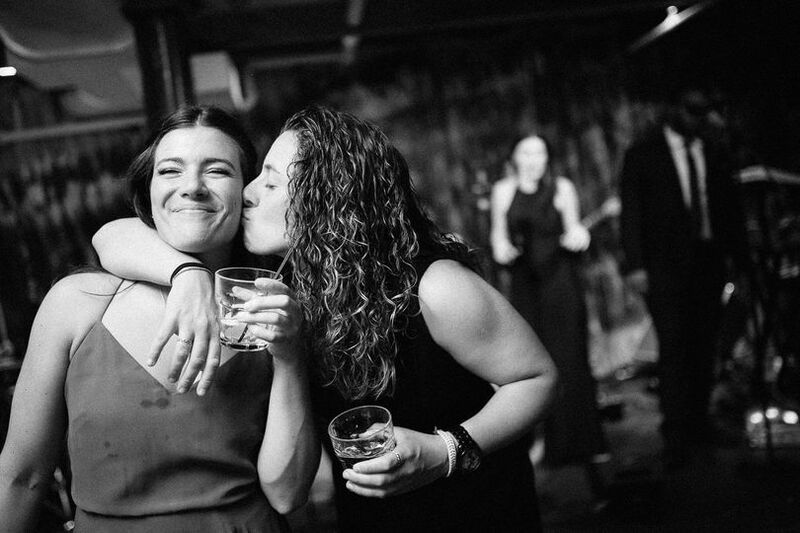 We had such a fun wedding! You hardly have to do any decorating at all because the Beehive looks so cool without anything. Chrystyna was a total pleasure to work with and, since I am not a good planner myself, she even helped with things like flowers (which she picked up that day from Boston Market!). The night was really special and our family and friends still rave about it. Oh, and did I even mention the food? You know how no one every remembers food at weddings. People still remember the braised short rib grilled cheeses, pierogis and other deliciousness!